Bell Nunnally is dedicated to promoting a more diverse and inclusive culture, in which appreciation and respect for individual differences informs every aspect of our firm. Individual differences include differences in race/ethnicity, gender, age, religion, sexual orientation, gender identity or expression, disability, background, experience, and other individual characteristics. The firm, led by its Diversity and Inclusion Committee, strives to ensure that Bell Nunnally is as diverse as our community and the clients we serve. The firm values diversity and recognizes the importance of individual differences when hiring and retaining attorneys. Each lawyer takes a different path to success. The firm empowers and supports our lawyers in the advancement of their professional goals. A more diverse Bell Nunnally will better serve its clients by marshalling the wealth of perspectives and experiences that our attorneys bring to their counseling and advocacy. By adhering to the principles above, the firm also strives to improve the profession by supporting diversity in the legal community overall. Bell Nunnally has been a member of the Leadership Council on Legal Diversity (LCLD) since 2017. The organization is comprised of more than 300 corporate chief legal officers and law firm managing partners dedicated to building a more open and diverse legal profession. LCLD “Fellows Program” members are mid-career professionals who have been nominated by their company or law firm’s executive members in recognition of strong past performance and leadership. The “Fellow” year focuses on relationship-building, in-person training, peer-group projects and extensive contact with LCLD’s leadership. Bell Nunnally has sent one mid-career professional each year to participate in the Fellows Program since joining. LCLD “Pathfinder Program” members are early career attorneys, also nominated by their company or organization, who have three-to-five years of practice experience. The initiative aims to arm its set of diverse, high-potential professionals with practical tools for developing and leveraging internal professional networks. The “Pathfinder Program” focuses on relationship building, foundational leadership instruction and career development activities. Bell Nunnally has sent two early career attorneys a year to participate in the Pathfinder Program. Bell Nunnally attorney Alana Ackels was selected to the LCLD's 2019 "Fellows Program." In addition, attorneys Katie Beaird and Jennice Lee were selected to the 2019 "Pathfinders Program." Alana, Katie and Jennice follow Bell Nunnally partner and 2017 “Fellow” Karen Hart and associates and “Pathfinders” Saba Syed. In 2016, Partner Sonja McGill participated in the “Fellows Program” and associate Murphy Sayre participated in the “Pathfinders Program.” The chair of Bell Nunnally’s Diversity and Inclusion Committee, Kassandra McLaughlin, is a 2014 Fellow alumna. Bell Nunnally has signed the Texas Competes pledge. Texas Competes’ mission is to provide a unified voice for the Texas business community on the clear economic and business case for a Texas that offers fair treatment of lesbian, gay, bisexual, and transgender (LGBT) people. That unified voice takes the form of the Texas Competes pledge. This pledge creates an opportunity for business leaders to clarify their shared economic interests in a fair and welcoming Texas for LGBT people. 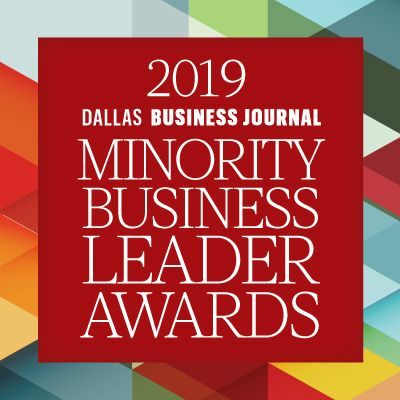 For the third consecutive year, Bell Nunnally is the Presenting Sponsor for the Dallas Business Journal Minority Business Leader Awards. These awards honor leaders and decision-makers of diverse ethnic backgrounds with a track-record of excelling in advocating for others in their communities and workplaces.